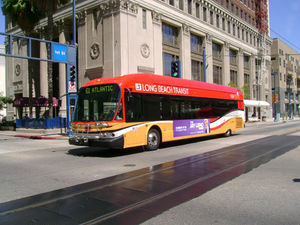 Long Beach Transit is a local bus system in the cities of Long Beach, Lakewood, and Signal Hill. Long Beach Transit connects with Blue Line light rail in Downtown Long Beach. Long Beach Transit also operates water taxi service along the coast.